DoorQ.Com | Tron Legacy… YEAH! Home / Fantasy / Tron Legacy… YEAH! Even though I have the flu, I didn’t let it stop me from going to Tron:Legacy’s premiere here in Portugal. (I know, it only premiered here in january 2011… What a shame). I must say it was a humongous leap from the original Tron. Not just from the special effects (obviously) but the script itself, which wasn’t as basic as the original. Even though the story was predictable I was overwhelmed by the universe, the environment it created. It achieved perfectly what any franchise should do: make the viewer (user, in this case) feel he is actually inside the movie. It created a believable environment. Now, time for a couple of questions… What the hell was a barbequed pig doing in the virtual world?? I thought a Zen person as Flynn would be vegetarian, eating only digital plants. And at last, how come Quorra could be “undigitized” into our world?? Well, I waited about 20 years for this movie, and I was not disappointed at all!! 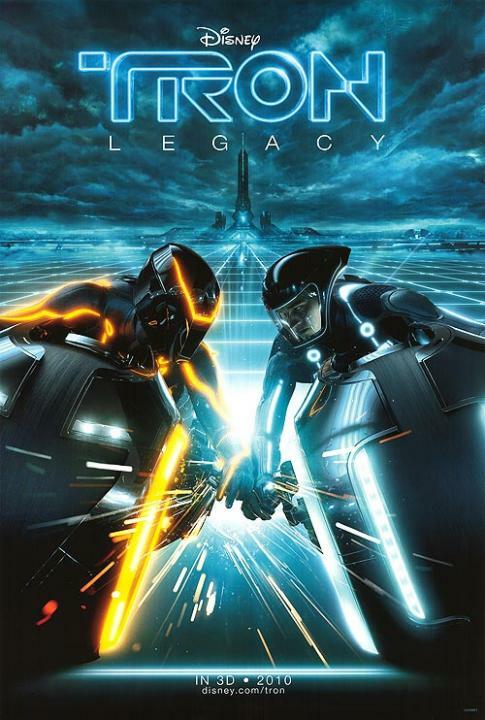 I loved Tron: Legacy!!!!! I am simply looking forward to the costume revolution it has started. I’ve been waiting for it since I was a kid since I saw how it influenced Automan, and finally the possibility of owning a Light-Suit is getting real. LONG LIVE TECHNO REVOLUTION!